For those in Pretoria in the next few weeks, The South African State Theatre will feature theatre productions ‘Tau’, ‘Mantsho’, and ‘Isambulo’ as part of the line-up for the 11th Annual Mzansi Fela Festival this December. The critically acclaimed, award-winning play ‘Tau’ (showing from December 5 to 9),written and co-directed by Thabiso Rammala together with Momo Matsunyane, is set in the modern Free State where cultural norms and traditional practices play a huge part in the community. 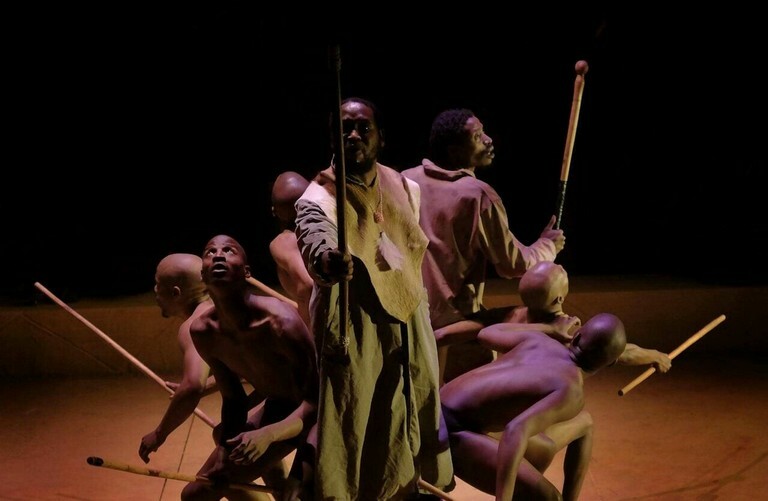 In 2017 ‘Tau’ scooped three Naledi Awards for Best Choreography, Best Ensemble, and Best Lighting Design and won Standard Bank Fringe Golden Award at the National Arts Festival in Grahamstown (Makhanda). Musical play ‘Isambulo’, written and directed by Zakhele Mabena and which can be seen from December 7 to 9, displays the African culture of worship within a typical Sunday church service. The musical theatre is a clear dramatisation of what you would find in different South African churches. ‘Mantsho’ by writer and director Thembisile Xolisile Nogwanya will follow from December 12 to 16. It is an enticing Sesotho cultural play based on the king of Bakoena Clan who took an unwise decision to disobey certain traditional Basotho rituals after his first wife died. Mzansi Fela Festival has become one of the premier arts festivals in the South African theatrical calendar. For the past 10 years, this festival has provided a platform for local and national artists. Visit www.statetheatre.co.za for more information.